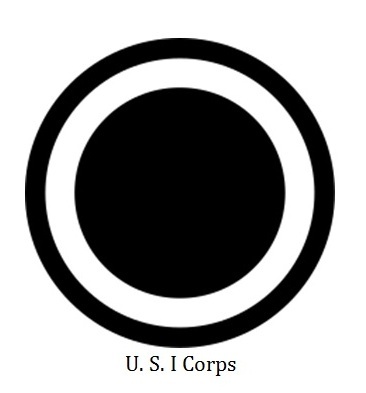 The division was the only forward deployed division in the corps. Other corps elements were positioned elsewhere in the Pacific and the U. S. West Coast. 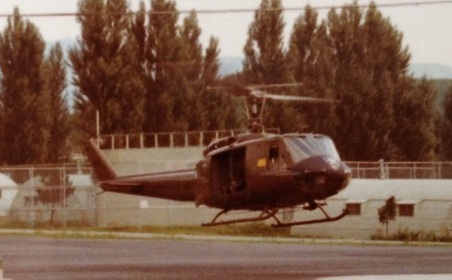 The UH1H was flying from the division’s airfield at Dongducheon the 20 kilometers to the corps’ helipad in Uijeongbu. The division’s Assistant Division Commander for Maneuver was to meet the corps’ deputy commander to discuss a developing initiative of the division’s new commander. The division was a “hybrid” table of organization formation. It was designated as an infantry division but had a very unique compliment of maneuver battalions, four infantry battalions, two mechanized battalions, and two tank battalions. To compensate for its paucity of maneuver battalions, the division employed its armored cavalry squadron more or less as a ninth maneuver battalion essentially brigaded with its two mechanized battalions. The division as it was organized was the result of a reduction of in country ground force a year earlier when the corps had two infantry divisions deployed. The residual force that remained after the reduction was the hybrid division that attempted to compensate for the loss of the deployed division with the mechanized and armored battalions. Two of the division’s brigades occupied locations in the central mountain valley that stretched some 24.1 kilometers north to the Demilitarized Zone and south the 78.9 kilometers to Seoul, the South Korean capital city, and in a parallel valley to the west referred to as the Western Corridor. The two brigades in the central corridor occupied two cantonments that were relatively close in an almost hedgehog configuration within a few miles of each other. The 1st Brigade with the division headquarters was in the northern cantonment. The brigade had under command the division’s two tank battalions and an infantry battalion. The division’s engineer battalion was positioned about a mile further north. The 2nd Brigade of three infantry battalions was positioned a few miles south of the 1st Brigade. The 3rd Brigade was in the Western Corridor with its two mechanized battalions and the armored cavalry squadron on several cantonments. The brigade’s direct support artillery battalion was positioned in various prepositioned firing positions in the corridor with the brigade. Its support battalion was also positioned in the corridor to provide prompt support to the brigade. One of the mechanized battalions was positioned to give rapid assistance to the element that manned the facility at Panmunjom. 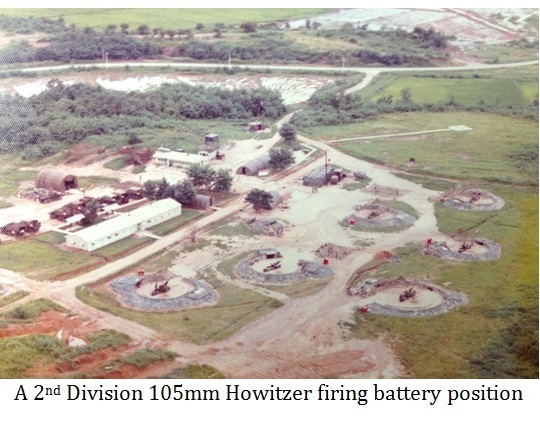 The configuration of the division and its positioning presented several challenges to any division commander who intended to do more than initial engagement of any force invading and attempting to move south down the corridor. The South Korean Army had significant forces in the area with more reinforcing forces to augment these forward forces on mobilization, but in the division commander’s mind he wanted to enhance his own ability to fight the division and leverage his combat potential without overreliance on immediate South Korean reinforcement. To note, the Republic of Korea Army had the ability to deploy over 20 divisions on mobilization. A continually improving defense in depth of pre-prepared fortified and hardened positions had been emplaced augmented by significant obstacles to movement covered by fire. The system of fortification took full advantage of the substantial cross compartmenting ridges extending across the valleys from the primary north south ridges on the boundaries of the valley. The extent of these emplacements created a series of concentric rings of static and dynamic fortification, reinforced by extensive fires preparations and maneuver capability. Nevertheless, the new division commander found the arrangement unsatisfactory if he was to be able to fight his force more flexibly and aggressively than just defending in place. Given the ruggedness of the terrain, the four infantry battalions represented a force with the best ability to maneuver off the steep ridges and a capability to prepare in depth defensive positions able to deny enemy movement south. But if more rapid repositioning were necessary to more aggressively and imaginatively fight the division, the “infantry” speed would be too slow. 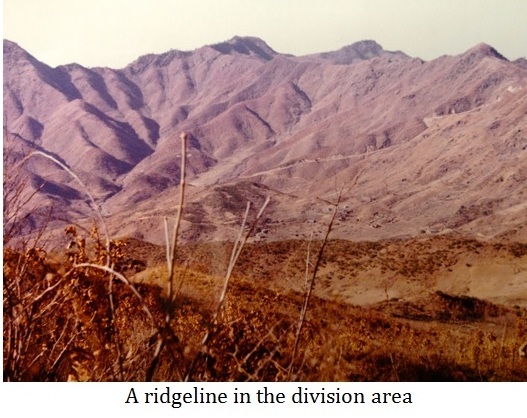 There were some truck assets in the division and at corps and army that could augment infantry battalion tactical and operational mobility within the valleys and through the few passes through the high ridges in between. The five battalion size units of armored cavalry, armor and mechanized infantry possessed organic ground mobility in the valleys and over the passes but could not easily negotiate the steep ridges or cross compartment, a mobility the infantry possessed. The division, as mentioned, could provide some ground mobility from its organic truck assets for perhaps approaching a battalion, but diversion of the trucks from other logistics tasks would have a negative effect on support to the other battalions. Assets could be obtained from corps and army but even these were finite, possibly bringing three battalions to a temporary motorized capability. The aviation battalion could move the better part of a battalion, but for larger movements the battalion would have to be augmented by corps and army level aviation assets. As well, if the division was to be able to leverage the fires capabilities of its division artillery, rapid repositioning of batteries would be necessary and this might only be achieved through use of aviation assets to move the guns. The only aircraft with the necessary capability to move the howitzers were the CH47 aircraft assigned to 8th Army units, assets elsewhere on the Korean Peninsula to the south, assets two command echelons above the division. These assets needed to be accessed to experiment with the feasibility of air moving fires units. Movement techniques that kept the aircraft with slung guns underneath as low in the valleys while moving as possible to give the aircraft as much concealment and protection as could be afforded needed to be demonstrated and perfected. And once the feasibility was determined, operational arrangements that assured the availability of the assets if the division was caused to activate its war plans needed to be established and exercised. This was the developing situation that made necessary a meeting between the Assistant Division Commander and the Deputy Corps Commander to discuss developing concepts and open the door to coordination between the division, corps and other staffs as necessary to support the new division commanders vision of a more agile and responsive maneuver and fires force, one better able to be fought in the unique and difficult terrain occupied. The two general offices knew each other. Both were West Point graduates and colleagues of many years who had a very good working relationship. Earlier communication had given the corps Deputy Commander a summary of the concept intended. This had been preceded by some early discussion between the corps and division commanders. After pleasantries, the division officers launched quickly into presentation by the division and following discussion. The Assistant Division Commander had been accompanied by the division’s G-3 (Plans, Operations and Training Officer), aviation officer and his aide-de-camp. The Deputy Corps commander had equivalent representation from the corps staff. The presentations worked through the concept in mind and a number of scenarios the division wanted to test. Discussion indicated that corps and divisions staffs were on common ground as to the desirability of validating the concept. It would be a tremendous combat multiplier if demonstrated as a viable capability, something that had already been the case in operations in Viet Nam where almost all of the senior officers had previously served. The key would be to make needed aviation assets available for experimentation to validate the concepts and once validated assure that the aviation assets remained available as necessary assets capabilities. The Corps commander’s and headquarters support would be critical to this assignment of available aviation assets. The briefings and working discussion that followed immediately and over the next several weeks worked well. Mutual agreement between the division and corps staffs developed, and areas of issue were resolved. Experimentation operations followed against various tactical and operational scenarios. 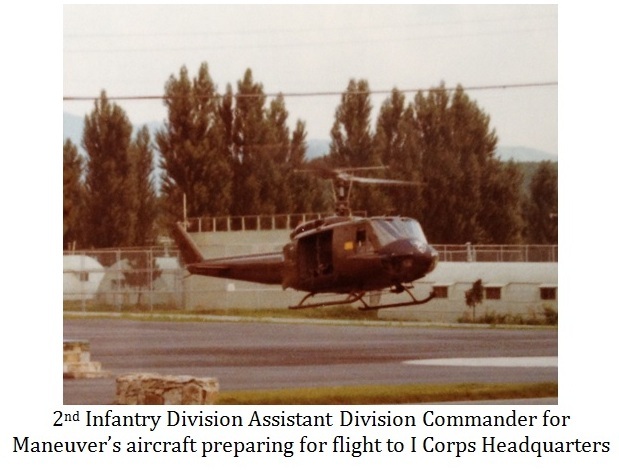 The infantry application of air movement proved doable and applicable from the outset, providing sufficient aviation assets were made available. The tactical and operational movement of fires had a few more challenges given terrain and the larger aircraft necessary to apply the repositioning and movement possibilities posed by air mobility. Specifically, sling systems that could carry the weight of the divisions tube artillery and did not create a situation of oscillation and moment that would destabilized the aircraft in flight need to be developed. As well, the larger aircraft’s ability to move in the valleys and pass corridors that dominated the terrain in the division’s operational area. The experimental work for maneuver and fires proved that employment of air assets was doable in the rough terrain. Work was also done on logistics and support proving that in country air assets could support and sustain the envisioned operations. With this concept validation work that followed, work also was expedited to revise various operational plans at all command levels and earmark on all plans the assigned aviation assets that would support the division in execution of the different plans. The result was the division’s ability to leverage the combat power and tactical and operational mobility of its four infantry battalions and if necessary a fifth battalion if it became necessary to employ the engineer battalion in its secondary role as an infantry battalion as well. The ability to fight the division innovatively and aggressively had increased dramatically by using the combat multiplier of aviation for tactical and operational repositioning. As a leadership exercise some clear takeaways pop out. Most important was a leader with vision, ability to articulate the vision, and decisiveness to pursue what would be necessary to realize the vision. Leadership at senior levels also demonstrated open mindedness to accept new ideas and work with the junior leader to validate the ideas and bring them to a mature result. As interesting, leadership of smaller tactical formations and staff sections quickly got onboard with the concept and did all possible within their units and sections to bring the idea to a doable capability. They identified with the concept quickly and followed through. In effect, the entire leadership team from junior to senior level moved forward as a team to a successful result. With the complexity of all of the moving parts in what was being attempted, achieving such leadership teamwork and synergy is a remarkable achievement, but one that can be replicated by other leadership teams. While newer towed artillery may have engineered away some of the challenges to tactical air movement of pieces by helicopter capability in the inventory, the initiative and leadership demonstrated in the vignette to address a situation at the time is I think instructive.